I’m Aaron Fenker, and I’m a husband, father, and pastor. I live with my wife, Sarah in Bossier City, LA, and our first child, Eva, is getting bigger every day! 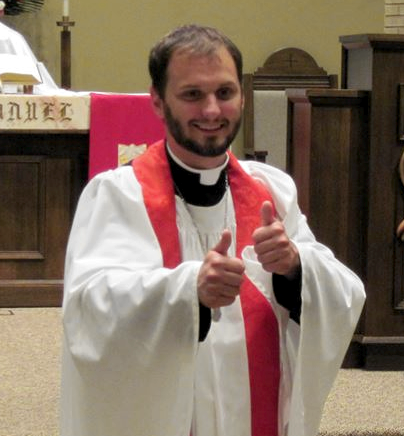 I’m the Associate Pastor at Immanuel Lutheran Church in Bossier City, LA. When I have free time, I love spending it with my wife, and I enjoy watching Sci-Fi, being outside, playing games. I love food (grilling it and eating it). I studied Theological Languages and Theology at Concordia University River Forest. I studied to be a pastor at Concordia Theological Seminary, and I’m currently working on my Masters of Sacred Theology from there as well.